As the nation’s capital, Ottawa plays host to a number of important federal institutions and officials. However, as a visitor, you can still enjoy the best of this city without spending a pretty penny. It goes without saying, a visit to Ottawa is not complete without taking in Parliament Hill. Take a free tour through parts of the neo-Gothic capital buildings, including the Senate and the House of Commons. Enjoy free events such as the Changing of the Guard every morning from late June to late August. In the evenings, check out the mesmerizing Northern Lights Sound and Light Show. Projected onto the façade of the Parliament Buildings, this multimedia presentation of Canadian history is sure to impress. To find a filling lunch without emptying your wallet, head to the Byward Market district. Here, you’ll find shops and take-out stalls offering all sorts of ethnic cuisine, from Indian and Mexican to Eastern European. Looking for something from closer to home? Try a beavertail, a typically Canadian sweet treat made of fried dough. Or, pick up a poutine at the PoutineFest held every April on Sparks Street. 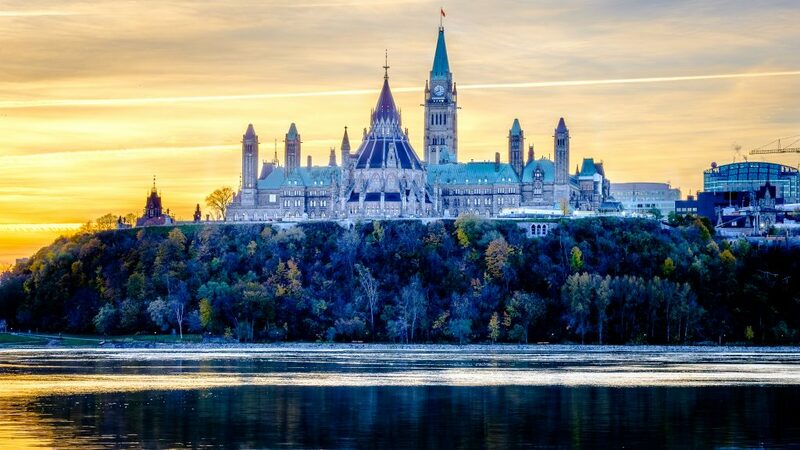 If you’re looking for a great picnic spot, Major’s Hill Park offers picturesque panoramas of Parliament and the Ottawa River. Want to rock out on a budget? Ottawa offers plenty of opportunities to catch a live show. Sparks Street is home to Canada’s first pedestrian mall and hosts many festivals throughout the year. Perhaps one of the most eclectic, the Ottawa International Busker Festival is held here in August. It’s one of the major annual (and free!) events offered. You’re bound to also find buskers while strolling through the Byward Market. If you happen to be a fan of punk-rock and arcade games, House of Targ offers a $5 free play night on Sundays. Try Pressed Café’s open mic nights and live shows for something more low-key. Film screenings, museums, galleries, festivals… the possibilities are endless! Because your budget isn’t, you’ll want to plan carefully. However, this doesn’t mean you can’t still enjoy the best of Ottawa’s vibrant arts and culture scene. The Centretown Outdoor Film Festival holds free film screenings on Friday and Saturday evenings for 6 weeks during the summer. Just bring a blanket or chair and break out your popcorn! For fine art fiends, check out the National Gallery of Canada on Thursday evenings when they offer free admission from 5-8 pm. Many of the other museums in the nation’s capital also offer free admission one day per week. These include the Canadian Museum of Nature, the Canadian Museum of History and the Canadian War Museum. Better yet, at $35 Canada’s National Museums Passport will get you admission to three of the participating national museums. So, you’ve had your poutine. Or maybe one too many beavertails. If you’re looking to burn some calories, there are many paved paths for biking, rollerblading or walking throughout the city. With over 800 km of recreational trails, there is something for everyone’s interests and fitness level. To take in some of Ottawa’s most classic sights, follow the trail running along Ontario’s only UNESCO World Heritage Site, the Rideau Canal. This picturesque path also happens to be a great family-friendly route that passes by other attractions such as Landsdowne Park. Here, you’ll find sports stadiums, restaurants, shops and the Ottawa Farmers’ Market. For more moderate exercise, why not find your inner “omm” at a free yoga session? These are held every Wednesday during the summer on Parliament Hill.